Last week, after purchasing some new mattresses at the department store of SM City Cebu I also made the effort of signing up to SM’s loyalty program called SM Advantage. Loyalty programs entice consumers to return to the same store in order to rack up points. Rewards, rebates, freebies, and benefits await customers in exchange for being bound to one store. What makes SM Advantage unique from other gimmicks of other malls and stores is its vast array of choices to gain points. For instance, you can gain points when you buy gas at Petron, check in at partnered hotels, and dine in at partnered restaurants. Application is easy. The department store salesclerk actually invited me and upon me agreeing extracted an application form. The usual basic information such as name, address, and contact number were needed. 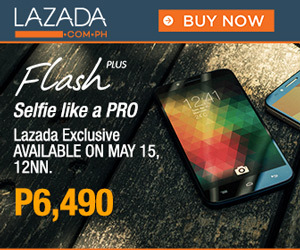 Applying to SM Advantages only costs Php150.00. Filling information only took a few minutes, after which I submitted back the form. Membership entails ownership of a card which I claimed two weeks later. Before that, they gave me a temporary card. Some time later I found out SM Advantage has an online service. There you can view transactions, report lost or damaged cards, profile update, and change card PIN. Multiple card account registration is also available. If registration is successful, they will send an email which contains the link to activate your online account. Clicking on that link redirects you to a notice if activation is successful. I was delayed at enrolling online thanks to the invalid PIN. 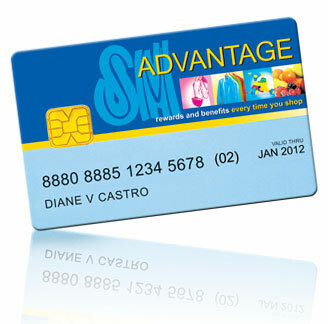 By default, your SM Advantage card PIN is birth month and year. For instance, if you were born on June 25, 1985, the PIN should be 0625 0685. I have tried again and again with my birth month and year, even in SMS registration, to no avail. It must be a bug or perhaps I supplied a different PIN during application and must have forgotten about it. I resolved to contacting their customer service through their hotline number (02) 833-8888. I just told them what happened. Then they ask for identity verification and finally reset my PIN. After that, I was able to register online without a hitch. You can exchange your points to anything sold in SM Department Store, SM Supermarket, SM Hypermarket and other SM retail establishments inside and outside SM Malls. Basing on my transactions, I found out the ratio to amount spent over points earned is very small. You get to earn 1 point for every Php400.00 spent in SM Supermarkets and Savemore Supermarkets. That’s 0.25% return from your expenditures. On the other hand, you can earn 1 point for just every Php200.00 if you shop at SM Department Stores. That’s a return of 0.50%. Remembering I just had my card swiped at an SM Supermarket to earn points, I noticed it was not included in the list of transactions I viewed online. I suppose it takes a while for them to update transactions. If this happens to you and your points are still not updated to reflect those missed transactions, I suggest contacting their customer service. Customer Service Counters are found at all SM Department Store, selected SM Supermarkets and SM Hypermarket. "By default, your SM Advantage card PIN is birth month and year. For instance, if you were born on June 25, the PIN should be 0625."